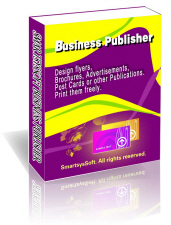 ﻿ Offer Design and print Flyers, Business Cards, Labels and screen capture softwares. Use one of a wide range of attractive predesigned design templates to kick start your next project, Simply add your own images and text for the fastest way to create amazing designs– ideal if you’re new to desktop publishing or in a hurry. 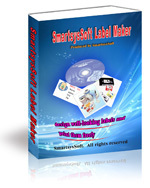 The application comes with greater freedom of layout, a rich graphic design toolset, built-in photo editing. Design to a high level using stylish templates, drag and drop graphics, or your choice of custom design elements and colours, perfectly suited to desktop publishing & printing. Supports to print your cards on any standard business card papers at your printer. Also it is allowed to save your design as a high quality image with PDF, BMP, JPEG, GIF, PNG, TIFF format for outside quality printing.